You know this thing about Princess Juliet Games? Cute-games.com has a new beautiful category of games named Princess Juliet where you will find a beautiful princess who along with her best friend named Koobs is always trying to help the helpless and also they are fighting with evil. In Princess Juliet Games you can find 43 games that we've published for these kids and childrens that are interested to play Princess Juliet Games, this game gategory have been created on 23.12.2015. These games with Princess Juliet Games have been voted 1 times and the avarage of vote is 5.00 stars. We advice you to play the last flash game from Princess Juliet Games, Juliet Hospital that have been published on 23.10.2017 04:00. Juliet Hospital its a part of Princess Juliet Games category and until now its played 718 times. Try it now on Cute-Games.com! If your like the Juliet Hospital game you can write a comment in the game page. Recommend this game to your friends if you like it! 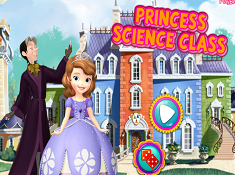 Princess Science Class its a part of Sofia the First Games category and until now its played 1236 times. Try it now on Cute-Games.com! 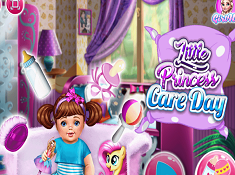 Little Princess Care Day its a part of Baby Games category and until now its played 713 times. Try it now on Cute-Games.com! If your like the Little Princess Care Day game you can write a comment in the game page. Recommend this game to your friends if you like it! Dinsey College Spring Break Party its a part of Princess Games category and until now its played 761 times. Try it now on Cute-Games.com! If your like the Dinsey College Spring Break Party game you can write a comment in the game page. Recommend this game to your friends if you like it! Princess Juliet Carnival Treats its a part of Princess Juliet Games category and until now its played 762 times. Try it now on Cute-Games.com! 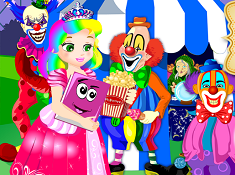 If your like the Princess Juliet Carnival Treats game you can write a comment in the game page. Recommend this game to your friends if you like it! 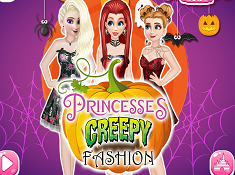 Princess Juliet Scary Adventure its a part of Princess Juliet Games category and until now its played 950 times. Try it now on Cute-Games.com! If your like the Princess Juliet Scary Adventure game you can write a comment in the game page. Recommend this game to your friends if you like it! 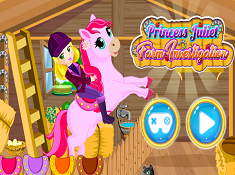 Princess Juliet Farm Investigation its a part of Princess Juliet Games category and until now its played 812 times. Try it now on Cute-Games.com! If your like the Princess Juliet Farm Investigation game you can write a comment in the game page. Recommend this game to your friends if you like it! Fairytale Baby Belle Caring its a part of Beauty and The Beast Games category and until now its played 664 times. Try it now on Cute-Games.com! 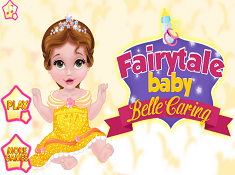 If your like the Fairytale Baby Belle Caring game you can write a comment in the game page. Recommend this game to your friends if you like it! 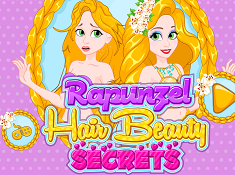 Rapunzel Hair Beauty Secrets its a part of Rapunzel Games category and until now its played 868 times. Try it now on Cute-Games.com! 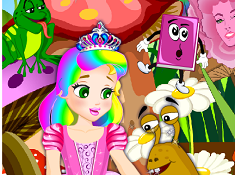 If your like the Rapunzel Hair Beauty Secrets game you can write a comment in the game page. Recommend this game to your friends if you like it! Princess Juliet Gift Hunt its a part of Princess Juliet Games category and until now its played 925 times. Try it now on Cute-Games.com! If your like the Princess Juliet Gift Hunt game you can write a comment in the game page. Recommend this game to your friends if you like it! Princess Juliet Secret Recipe its a part of Princess Juliet Games category and until now its played 995 times. Try it now on Cute-Games.com! 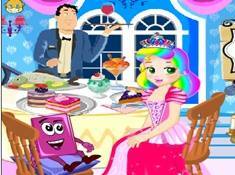 If your like the Princess Juliet Secret Recipe game you can write a comment in the game page. Recommend this game to your friends if you like it! 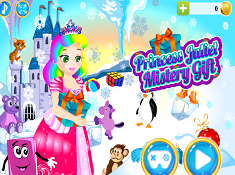 Princess Juliet Mistery Gift its a part of Princess Juliet Games category and until now its played 803 times. Try it now on Cute-Games.com! If your like the Princess Juliet Mistery Gift game you can write a comment in the game page. Recommend this game to your friends if you like it! 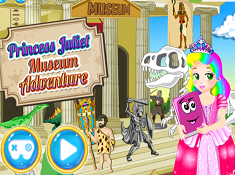 Princess Juliet Museum Adventure its a part of Princess Juliet Games category and until now its played 886 times. Try it now on Cute-Games.com! If your like the Princess Juliet Museum Adventure game you can write a comment in the game page. Recommend this game to your friends if you like it! Princess Juliet Villain Capture its a part of Princess Juliet Games category and until now its played 895 times. Try it now on Cute-Games.com! If your like the Princess Juliet Villain Capture game you can write a comment in the game page. Recommend this game to your friends if you like it! Princess Juliet and Friends Hide and Seek its a part of Princess Juliet Games category and until now its played 858 times. Try it now on Cute-Games.com! If your like the Princess Juliet and Friends Hide and Seek game you can write a comment in the game page. Recommend this game to your friends if you like it! 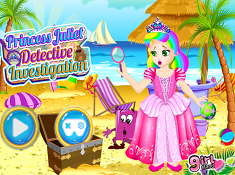 Princess Juliet Detective Investigation its a part of Princess Juliet Games category and until now its played 938 times. Try it now on Cute-Games.com! If your like the Princess Juliet Detective Investigation game you can write a comment in the game page. Recommend this game to your friends if you like it! Sleeping Baby Bath its a part of Sleeping Beauty Games category and until now its played 721 times. Try it now on Cute-Games.com! If your like the Sleeping Baby Bath game you can write a comment in the game page. Recommend this game to your friends if you like it! 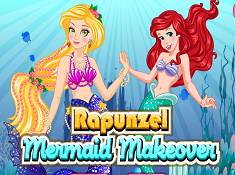 Rapunzel Mermaid Makeover its a part of Rapunzel Games category and until now its played 880 times. Try it now on Cute-Games.com! 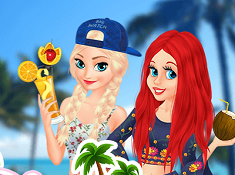 If your like the Rapunzel Mermaid Makeover game you can write a comment in the game page. Recommend this game to your friends if you like it! 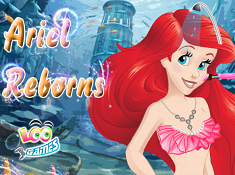 Ariel Reborns its a part of Ariel Games category and until now its played 833 times. Try it now on Cute-Games.com! If your like the Ariel Reborns game you can write a comment in the game page. Recommend this game to your friends if you like it! 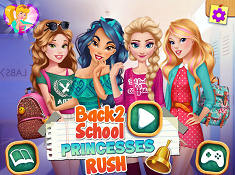 Back To School Princesses Rush its a part of Princess Games category and until now its played 1089 times. Try it now on Cute-Games.com! 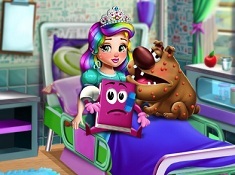 If your like the Back To School Princesses Rush game you can write a comment in the game page. Recommend this game to your friends if you like it! Disney Teams Selfie Battle its a part of Princess Games category and until now its played 987 times. Try it now on Cute-Games.com! 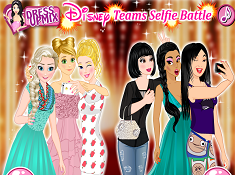 If your like the Disney Teams Selfie Battle game you can write a comment in the game page. Recommend this game to your friends if you like it! Princess Juliet Castle Escape its a part of Princess Juliet Games category and until now its played 856 times. Try it now on Cute-Games.com! If your like the Princess Juliet Castle Escape game you can write a comment in the game page. Recommend this game to your friends if you like it! Princess Juliet Forest Adventure its a part of Princess Juliet Games category and until now its played 915 times. Try it now on Cute-Games.com! If your like the Princess Juliet Forest Adventure game you can write a comment in the game page. Recommend this game to your friends if you like it! 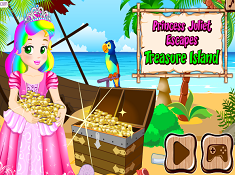 Princess Juliet Escapes Treasure Island its a part of Princess Juliet Games category and until now its played 877 times. Try it now on Cute-Games.com! If your like the Princess Juliet Escapes Treasure Island game you can write a comment in the game page. Recommend this game to your friends if you like it! Princess Juliet Rescue Koobs its a part of Princess Juliet Games category and until now its played 995 times. Try it now on Cute-Games.com! If your like the Princess Juliet Rescue Koobs game you can write a comment in the game page. Recommend this game to your friends if you like it! Princess Juliet Pony Love its a part of Princess Juliet Games category and until now its played 1342 times. Try it now on Cute-Games.com! If your like the Princess Juliet Pony Love game you can write a comment in the game page. Recommend this game to your friends if you like it! Princess Juliet Fashion Trouble its a part of Princess Juliet Games category and until now its played 1852 times. Try it now on Cute-Games.com! 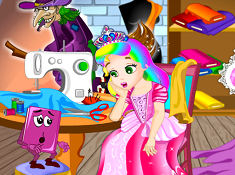 If your like the Princess Juliet Fashion Trouble game you can write a comment in the game page. Recommend this game to your friends if you like it! Princess Juliet Underwater Escape its a part of Princess Juliet Games category and until now its played 1027 times. Try it now on Cute-Games.com! If your like the Princess Juliet Underwater Escape game you can write a comment in the game page. Recommend this game to your friends if you like it! Princess Juliet Castle Escape 2 Ghost Castle its a part of Princess Juliet Games category and until now its played 1037 times. Try it now on Cute-Games.com! If your like the Princess Juliet Castle Escape 2 Ghost Castle game you can write a comment in the game page. Recommend this game to your friends if you like it! Princess Juliet Sewer Escape its a part of Princess Juliet Games category and until now its played 963 times. Try it now on Cute-Games.com! If your like the Princess Juliet Sewer Escape game you can write a comment in the game page. Recommend this game to your friends if you like it! 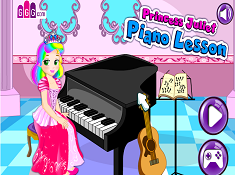 Princess Juliet Piano Lesson its a part of Princess Juliet Games category and until now its played 928 times. Try it now on Cute-Games.com! If your like the Princess Juliet Piano Lesson game you can write a comment in the game page. Recommend this game to your friends if you like it! Princess Juliet School Escape its a part of Princess Juliet Games category and until now its played 1233 times. Try it now on Cute-Games.com! If your like the Princess Juliet School Escape game you can write a comment in the game page. Recommend this game to your friends if you like it! Princess Juliet Restaurant Escape its a part of Princess Juliet Games category and until now its played 1189 times. Try it now on Cute-Games.com! If your like the Princess Juliet Restaurant Escape game you can write a comment in the game page. Recommend this game to your friends if you like it! Princess Juliet Prison Escape its a part of Princess Juliet Games category and until now its played 1055 times. Try it now on Cute-Games.com! If your like the Princess Juliet Prison Escape game you can write a comment in the game page. Recommend this game to your friends if you like it! Princess Juliet Museum Escape its a part of Princess Juliet Games category and until now its played 971 times. Try it now on Cute-Games.com! If your like the Princess Juliet Museum Escape game you can write a comment in the game page. Recommend this game to your friends if you like it! Princess Juliet Castle Escape 3 Frozen Castle its a part of Princess Juliet Games category and until now its played 1196 times. Try it now on Cute-Games.com! If your like the Princess Juliet Castle Escape 3 Frozen Castle game you can write a comment in the game page. Recommend this game to your friends if you like it! Princess Juliet Carnival Escape its a part of Princess Juliet Games category and until now its played 945 times. Try it now on Cute-Games.com! If your like the Princess Juliet Carnival Escape game you can write a comment in the game page. Recommend this game to your friends if you like it! Princess Juliet Castle Escape 4 Trolls Castle its a part of Princess Juliet Games category and until now its played 1219 times. Try it now on Cute-Games.com! If your like the Princess Juliet Castle Escape 4 Trolls Castle game you can write a comment in the game page. Recommend this game to your friends if you like it! Princess Juliet Gold Mine Escape its a part of Princess Juliet Games category and until now its played 1243 times. Try it now on Cute-Games.com! If your like the Princess Juliet Gold Mine Escape game you can write a comment in the game page. Recommend this game to your friends if you like it! Princess Juliet Zoo Escape its a part of Princess Juliet Games category and until now its played 857 times. Try it now on Cute-Games.com! If your like the Princess Juliet Zoo Escape game you can write a comment in the game page. Recommend this game to your friends if you like it! Princess Juliet Winter Escape its a part of Princess Juliet Games category and until now its played 963 times. Try it now on Cute-Games.com! If your like the Princess Juliet Winter Escape game you can write a comment in the game page. Recommend this game to your friends if you like it! Princess Juliet Hardest Escape Wonderland its a part of Princess Juliet Games category and until now its played 1070 times. Try it now on Cute-Games.com! If your like the Princess Juliet Hardest Escape Wonderland game you can write a comment in the game page. Recommend this game to your friends if you like it! Find More About Princess Juliet Games! The story is produced by SC TWIM STUDIO SRL and they brings to life Princess Juliet being a games character but the success that she have, makes them think to create also animated movies with her. Once upon a time, Juliet was a simply girl but her curiosity for new things brings her to a pyramid where she found a beautiful tiara and because it was shining very beautiful, Juliet bring it and in the next second her favorite book started to talk. Then, she realized that the tiara is charmed so, she become Princess Juliet and having that power that the tiara gives to her she decided to use that power for good purposes like explore as many places and things and also to help and save everyone who needs her help. Koobs is a very good friend and even if it looks like a book he is more than that because he is careless, creative and loves Juliet a lot, reason for why when she needs his help, Koobs is always there protecting her from everything. Koobs is a book full of stories and when he started to talk some stories and characters brings life fact that make some enemies to Juliet and Koobs like The Troll and The Bad Wizard. The Troll is a green troll which is coming every time when is mentioned and his scope is to catch Princess Juliet and Koobs to stole the magic Tiara and use it but his plans are ruined always because each time the princess and her book manage to escape from it. He live in a dark forest around the castle where he is always planning how to catch the princess but even if he is so evil he has a part on which he can be distract from evil things because he loves delicious food. The Bad Wizard is another evil character which wants to bring Juliet`s tiara because he think that if he had the tiara he can control the entire world having the power to make everything. He is a big enemy of Juliet and Koobs and he don`t miss any occasion to fight with them to stole the tiara but the two always win and the wizard remain disappointed, started to make other evil plans to get the tiara. Like Princess Juliet, he also has a friend which is a black cat who is always with him and watches him when he makes magic potions by mixing many potions which can help him to have the power. This impressive story about a little girl which became princess over the night and along with her friend which is a talking book and together are exploring the world and fight with villains, is now available on cute-games.com by our new Princess Juliet games. We invite you to meet these cute, brave and funny characters and go through a lot of magical adventures where you will see many new things and you will have a lot of fun. Even if the protagonist is a princess our Princess Juliet games are not just for girls because there are many adventures which boys can play so, we hope that everyone will try these adorable games. Cute-games.com also, prepared for you other surprises and challenges but to see them you have to stay with us and play all the games that we have to get into the story very well because you will have to face our next Princess Juliet games. Until then, if you see are find another game that we haven`t published you can tell us about the game and we will publish it for you.